A state District Court hands independent ranchers a long-awaited win. 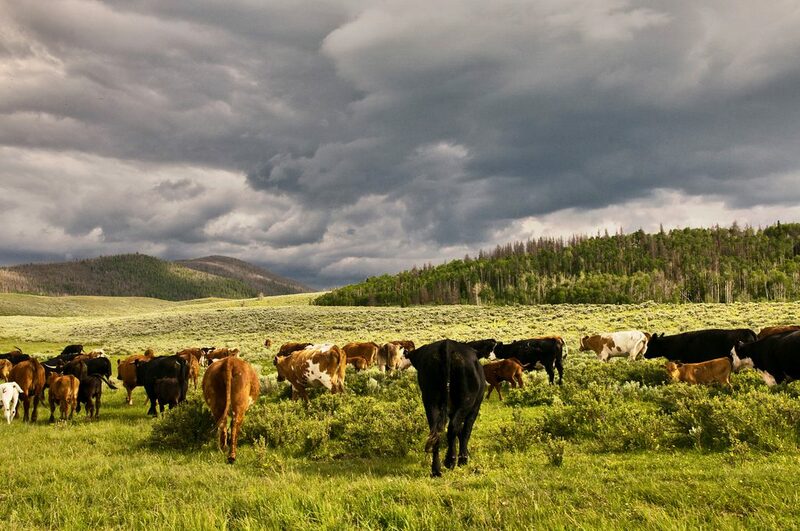 Last week, the United States District Court for the District of Montana issued a decision that could have major implications for the beef industry inside the state and beyond. Judge Brian Morris upheld a lower court’s decision that the beef checkoff program, as currently operated, violates the First Amendment rights of the state’s cattle ranchers. As as result, the Montana Beef Council (MBC) will only be allowed to collect funds from producers who voluntarily opt in to the program. Quick refresher: checkoff programs are a mandatory tax the federal government collects on certain agricultural commodities, money farmers are compelled to pay to fund industry research and promotion. Over the years, checkoffs have raised billions of dollars—and have paid for some iconic advertising, from “Got Milk?” to “Beef: It’s What’s for Dinner.” But they’ve also been a sore spot for farmers who claim they don’t have enough say over the way the funds are being used, yet are forced to pay even when they feel the message doesn’t serve their interests. But private entities cannot compel speech, and that’s where the Montana case comes in. Beef checkoff money is split evenly between the federal Cattlemen’s Beef Board and smaller, state-level organizations like the Montana Beef Council—private entities not subject to the same level federal oversight. That’s why the Ranchers-Cattlemen Action Legal Fund (R-CALF) filed suit against the United States Department of Agriculture (USDA), arguing that compelling payments to a private organization amounts to an unconstitutional first amendment violation. The suit’s unwitting catalyst was a famous fast food chain: advertisements ran put out by Wendy’s that promoting the company’s use of fresh, “North American” beef in its four-cornered burgers. Since the ads were funded, in part, by the Montana Beef Council, some of the state’s ranchers felt their checkoff dollars were being used against them. Why were they being forced to fund the promotion of beef that came not just from the U.S., but also Mexico and Canada? 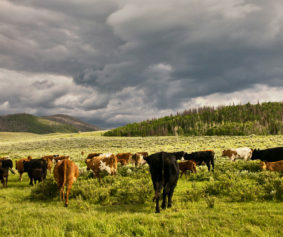 “That’s what I think made the case unique: It was a clear, in-your-face insult to U.S. cattlemen that were paying into the Montana beef checkoff,” says Mike Callicrate, a Kansas rancher and activist who’s been a longtime critic of the beef checkoff. Where some saw an insult, R-CALF, another vocal opponent, saw opportunity. It’s not a done deal yet: USDA may decide to appeal. But it also has the opportunity to respect the ruling, or even play an active role in rolling out voluntary state-level checkoff participation in other states—heading off a raft of potential lawsuits elsewhere. No one’s quite sure what will happen, but Dudley Butler of Butler Farm & Ranch Law, which represented the plaintiff, feels that future arguments against this decision would face a tough legal battle. For its part, the Montana Beef Council—which was not named in the suit—is taking a hard look at its post-ruling future. It could be an onerous task. And complaints about the federal checkoff program are likely to remain. But for now, the victors are celebrating as they look ahead. “It’s probably the biggest thing that independent producers have achieved in trying to get their interests represented by the government,” Bullard says. Joe Fassler is New Food Economy‘s senior editor. His food safety and public health reporting has been a finalist for the James Beard Foundation Award in Journalism. Follow him @joefassler.